By Adjua Fisher·	 7/28/2015, 10:40 a.m.
1616 Walnut Street is about to get a whole lot sweatier. Come October, not one, but two new fitness studios will be setting up shop in the Rittenhouse space: CorePower Yoga, a hot yoga company and CKO Kickboxing, a fitness kickboxing spot. Such convenient neighbors, right? And the separate fitness studios tell us they’re hoping to make the most out of their convenient living situation by working together in some capacity — maybe with crossover deals or special events — in the future. But before we get too excited about them teaming up, best to know what each studio does best on its own. We chatted with both studios to get the lowdown on what folks can expect once they open their doors, plus where you can try their workouts before that time comes. Check out the full scoop below. As general manager Nanci Dodson tells us, CorePower Yoga — a company that started in Denver — currently has over 120 locations around the country, but this Walnut Street location will be their first in Philly. And before you think to yourself, Do we really need another hot yoga studio in this town? note: CorePower Yoga isn’t just any ol’ hot yoga studio, they’re more their own brand of yoga. They adhere to four formats of classes: CorePower Yoga 1, a beginner-friendly class heated to 85 degrees with a set series of postures; CorePower Yoga 2, a more advanced (and hotter, with temps ranging between 95 and 98 degrees) power yoga class; Hot Power Fusion, an intense hot power yoga class with set sequences heated up to 102 degrees; and Yoga Sculpt, a yoga class heated up to 94 degrees that incorporates hand weights and strength movements (think: bicep curls, push-ups, and so on). All of the classes are set to energizing music, and all run for 60 minutes. The studio plans to open its doors in early October but, until then, you can find them teaching free CorePower 1 and Yoga Sculpt (BYO-hand weights) community classes at Headlong Studios (1170 South Broad Street) every Thursday evening and some Wednesday evenings through September 3rd. If you’re interested in attending one (or all) of those, shoot Nanci Dodson an email here and she’ll get back to you with the full schedule. As Janine Perez, co-owner of this new location, tells us, CKO Kickboxing started in Hoboken and has about 60 locations around the country but, like CorePower Yoga, this will be their first in Philly. They offer one style of class: an hourlong, no-contact workout that caters to all fitness levels. 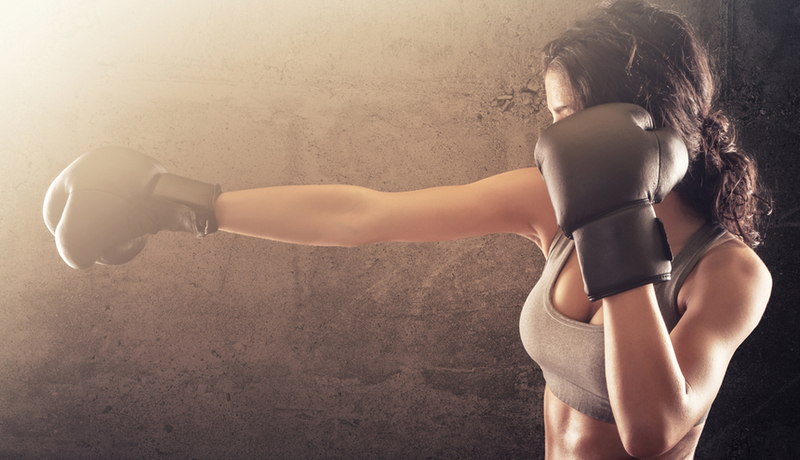 The class uses 100-pound heavy bags and incorporates elements of kickboxing, boxing and calisthenic exercises to maximize results, and it’s designed so that everyone in the class can work at their own pace — while still burning a ton of calories, of course. 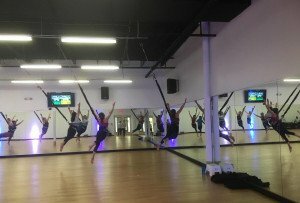 Participants can always expect some seriously energizing music during class, and for those who want to work more on their kickboxing technique outside of class, they’ll also have a small personal training space in the studio. As Perez explains, you can expect the same content in each class with a variety of styles from different instructors. When they open, hopefully in October, Perez’ fellow co-owners (her husband and her brother) will be the main trainers, but they hope to bulk up their trainer crew to around six eventually. 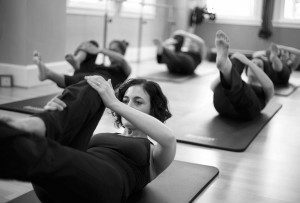 Before the studio opens, you can try one of their classes at The Oval’s Wellness Wednesdays. And pssst: At Wellness Wednesdays, they’ll also be offering crazy pre-opening membership deals, like 20 percent off your yearly membership fee. Uh, yes, please.